This might be the most fun you can have on a Tuesday night for $5.00. BYOB, Bingo, and a chance to win some cold, hard cash.. .what more could one ask for on a Tuesday night or any night except Mondays. Needless to say, B12 Bingo is well worth the price of admission. $5.00 will get you 18 Bingo cards plus a free bingo dobber. There are two “rounds” 7:15 and 8:50. 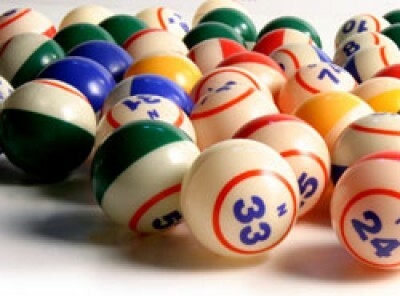 Each “round” consists of 5 Bingo Games. On Saturday nights there have a third round that starts at 10:30. The prizes for those lucky enough to get a B-I-N-G-O are between $300-$700. If that is not enough to get you out the door than I do not know what to tell you. They also have a full service snack bar so it has all the makings to make a night out of it. It is BYOB but you cannot bring in coolers, they are in the BINGO business, not the bar business so just be smart. There is a non-smoking section – if you want to take advantage of those seats I’d advise you arrive well in advance because those seats go fast. They are owned and operated by non-profit organizations that distribute a large percentage of the money they make playing bingo back into the community. *since this does involve gambling you must be 18 or older. Get your good luck charm and head out for some fun. . .